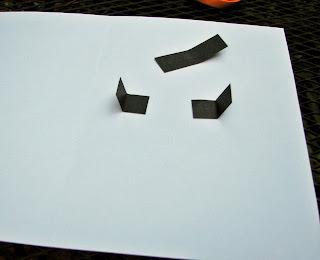 This is Lesson 13 in a series of step by step tutorials on How to Make Pop Ups. 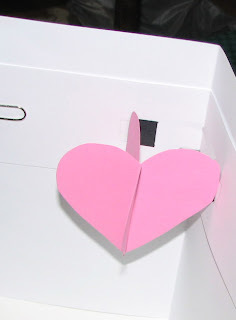 In Lesson 11 we made the basic X design pop up card--two shapes slotted together and fastened to the base card with a square box pop up mechanism. 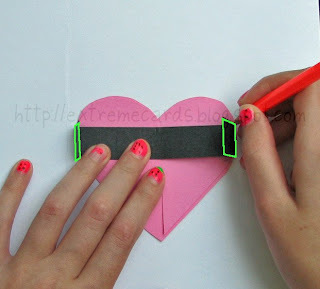 In Lesson 12 we explored one modification of the box mechanism, the strap. 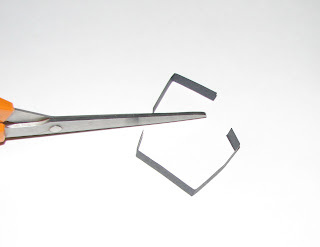 In this lesson we will reduce the attachment to a set of two tabs. 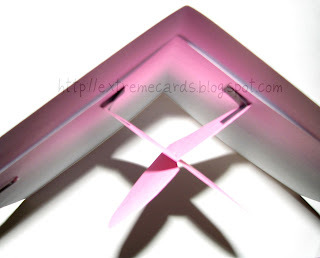 The slotted X is attached to the base card with two tabs cut from a square box. 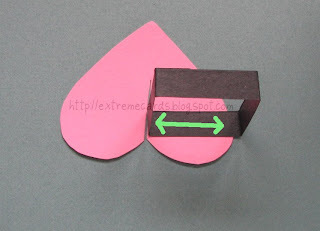 Make a square box as in Lesson 11: Measure the widest point of the flattened slotted X. 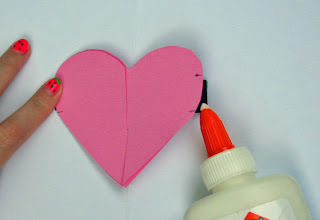 Cut a strip of paper 4 times the width of the slotted X plus a little bit at the end for a gluing tab. 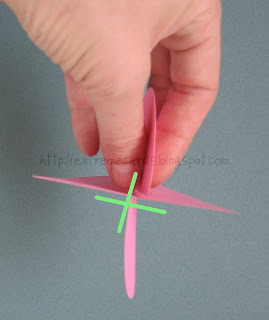 Mark the quarters and the glue tab, fold and glue together. 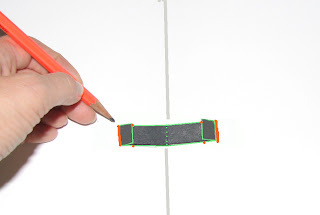 Trace guidelines on front of slotted X: Lay flattened strap across the widest point of the slotted X. 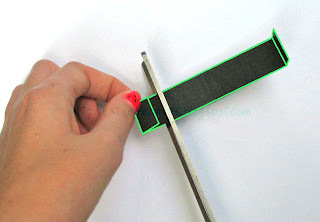 At the outer edges of the slotted X mark a short guideline along the top and bottom of the strap. 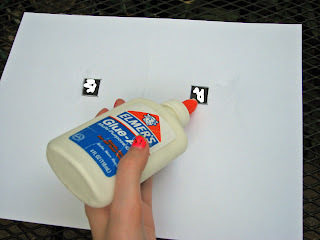 Glue L tabs to base card: Spread glue on the squares traced on the base card. 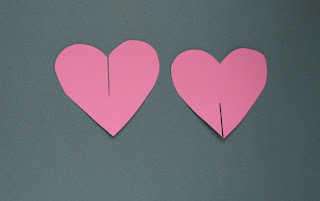 Glue tabs to the card as shown with the upright part of the L on the outside, toward the side edges. 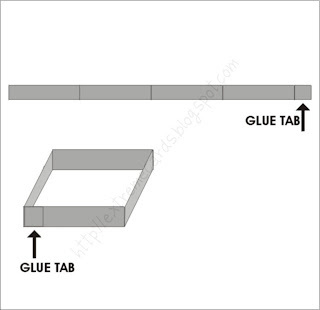 Glue slotted X to the tabs: Flatten tabs and slotted X. 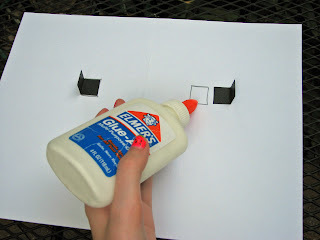 Spread glue on the tab tops. 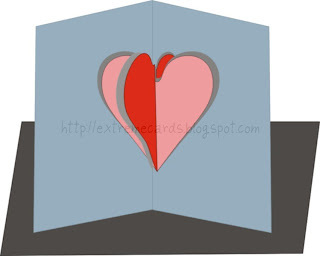 Align center line of slotted X with the center fold of the base card. Line up guidelines and side edges of slotted X with tabs. 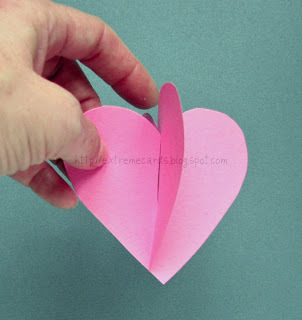 Glue together. 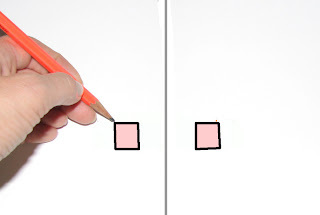 Erase guidelines on slotted X.